Kore Irrigation and Landscape Lighting services the entire Vancouver Lower Mainland, from Squamish to Chilliwack. Our specialists can design a lawn irrigation system or an outdoor landscape lighting plan to suit any home or commercial property. All of our services are competitively priced, and with our excellent service and quality products, you won’t find a better value. Kore is fully licensed and insured. We guarantee all of our work so you will be satisfied. We have an A+ Better Business Bureau rating and we pride ourselves on our excellent customer service. Your professional holiday & special events lighting installation company! 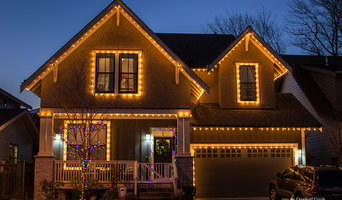 Our clients come to us for a professional, hassle-free experience, and enjoy brilliant results that give their property that special something for the holidays and their special events. We provide our clients with captivating displays and exceptional service. Northern Lights provide you with a beautiful design, an efficient installation and a timely post-season removal. Nexelent Automation Ltd. is privately held Canadian corporation registered in British Columbia. Our company specializes in providing Home Automation & Building Automation equipment & devices suited to Automation Installers, system integrators & technical savvy individuals & corporations looking to set up next-generation Home Automation Systems across North America. Digital Media Specialists. Photography, Website Development, Optimization SEO, Award Winning Video Production including animation. Professional Team including seasoned videographers, editors, producers. Affordable. On Time. On Budget. Enhance your public presence with awesome visuals supported by backroom online marketing including social media. Our full service integration team is fully prepared to offer system design, expert installation, and maintenance for virtually any setting. We are well versed in video conferencing systems, projectors and projection screens, plasma and LED displays, interactive white boards, digital signage, and control systems. What services do Delta outdoor audio and visual system professionals provide? For the most part, people hire outdoor entertainment system providers for backyard installations. After all, pool parties and barbecues are much more fun when there is music to enjoy. How do they do it? 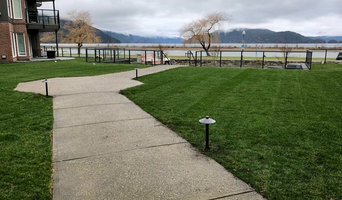 Your British Columbia outdoor custom audio system technician can work with your landscape designer or architect to install weather-resistant outdoor speakers, discreetly buried into your landscaping with no loss of sound. Here are some related professionals and vendors to complement the work of outdoor lighting & audio/visual systems: Landscape Architects & Landscape Designers, Landscape Contractors, Decks, Patios & Outdoor Enclosures, Siding & Exteriors. Home theaters are moving outdoors, too. Sports fans can grill without missing the game, and families can invite neighborhood friends over for movie nights. Special weatherized flat-screen TVs are coated to minimize glare. Imagine your Delta, BC backyard with a custom-designed outdoor theater system — complete with a large projection screen. It makes backyard entertaining easy. Find outdoor audio and visual system professionals on Houzz. Look in Houzz’s Professionals section to find Delta, BC outdoor audio and visual system experts. Narrow your search to the nearest city or metro area for a list of nearby businesses. Get contact information, read reviews and look at completed British Columbia custom outdoor sound system projects.